From NPR, "'Segregation Forever': A Fiery Pledge Forgiven, But Not Forgotten," by RADIO DIARIES, on 10 January 2013 -- It was just a single line in a speech given 50 years ago today. But that one phrase, "segregation now, segregation tomorrow and segregation forever," is remembered as one of the most vehement rallying cries against racial equality in American history. Historian Dan Carter, who wrote The Politics of Rage, a biography of George Wallace, recalls how the streets of Montgomery were packed the day of Wallace's inauguration. His followers from across the state crowded around the platform, Carter says, "many of them wearing these white flowers, which were meant to symbolize their commitment to white supremacy." James L. Poe Jr., a former student activist and then-president of the Montgomery chapter of the NAACP, says blacks were not invited to attend the event. "It was open to the public, anyone in the public," he says. "But we were not the public." All of the major news networks covered Wallace's inaugural address on national television that day. And Wallace, Carter says, decided to "milk that for everything that he can." The late Wayne Greenhaw, a newspaper reporter in Montgomery at the time, made a similar observation. "He was putting on a show. He marched back and forth, shook his fist," Greenhaw recalled shortly before his death in 2011. "He was promising that he would stand alone for the Southern cause and the cause of the white people." Wallace's speech — and its delivery — was "vehement ... mean spirited ... hateful. It's like a rattlesnake was hissing it, almost," Greenhaw said. "Let us send this message back to Washington, via the representatives who are here with us today," Wallace told the crowd. "From this day, we are standing up, and the heel of tyranny does not fit the neck of an upright man. "Let us rise to the call of freedom-loving blood that is in us, and send our answer to the tyranny that clanks its chains upon the South," Wallace declared from the podium. "In the name of the greatest people that have ever trod this earth, I draw a line in the dust and toss the gauntlet before the feet of tyranny, and I say, segregation now, segregation tomorrow and segregation forever." Poe, the former NAACP chapter president, says he and his colleagues were taken aback. "To hear the governor of a state get up and make the kind of comments that you would expect that someone in the back alley, with their sheets on and burning crosses would make — that was the thing that really caught us." Poe says Wallace was determined to continue to exercise states' rights — and to continue to segregate — "no matter what the Supreme Court said in Brown v. Board of Education, no matter what the federal government [was] saying." Reflecting on his response to the speech at the time, Rep. John Lewis, a Georgia Democrat, originally from Alabama, says he took Wallace's words personally. "My governor, this elected official, was saying in effect, you are not welcome, you are not welcome," Lewis says. "Words can be very powerful. Words can be dangerous," Lewis says. "Gov. Wallace never pulled a trigger. He never fired a gun. But in his speech, he created the environment for others to pull the trigger, in the days, the weeks and months to come." Indeed, violence quickly followed Wallace's inauguration, says Poe. "We began to feel the sting of the speech. People night-riding and burning crosses. 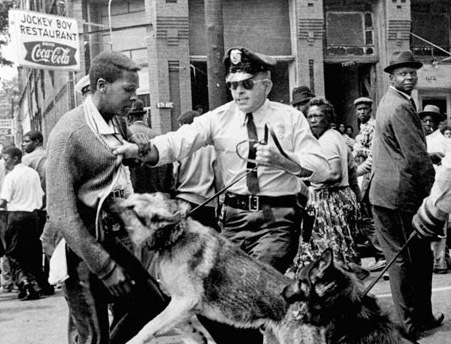 The police beat down people and ran over them with horses, put tear gas on them." And later that year, four girls were killed in the bombing of the 16th Street Baptist Church in Alabama. "This was a very a difficult time in the American South," Lewis says. "Much later in life, he probably wished he had taken it out," Greenhaw said. "He said, 'Mr. Lewis, I'm sorry.' And I said, 'Well, governor, I accept your apology.' "
Poe was also able to reach the same conclusion. 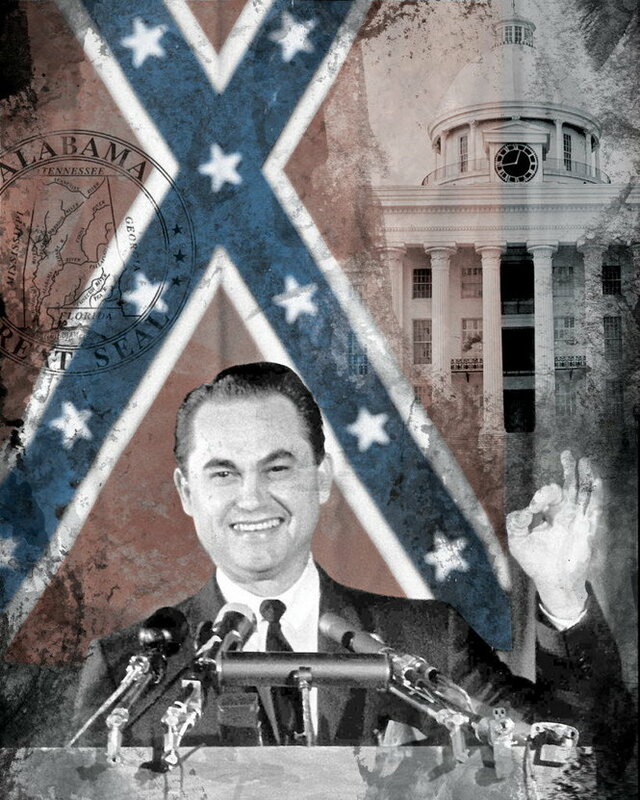 "Being the type of person I am, out of my heart and soul, I can forgive George Wallace. Yes. Heaven's sakes, I forgive him," Poe says. "But forget? No. Never." Even today, Lewis says he often reflects on the governor's speech. "Does it hurt me? No," Lewis says. 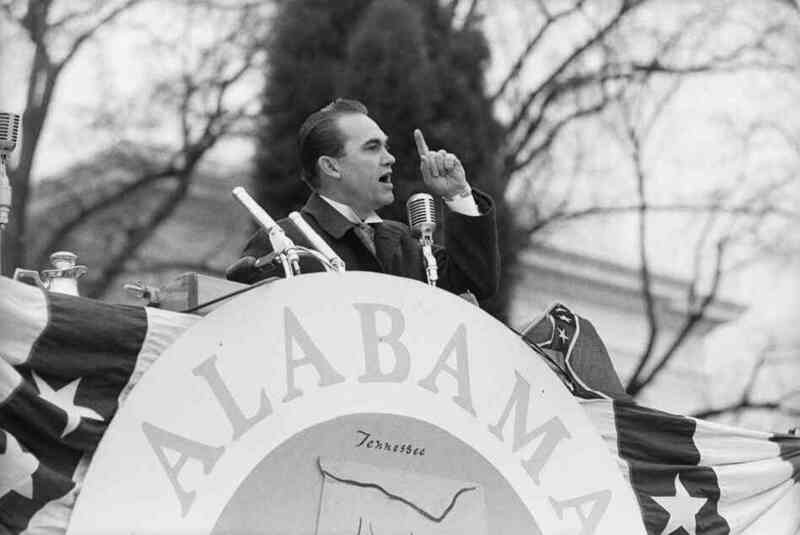 "In the end, I think George Wallace was one of the signs on this long journey towards the creation of a better America, toward the creation of a more perfect union. It was just one of the stumbling blocks along the way." WAS HE REFERRING TO THOSE PEOPLE WHO PUSH WHEELCHAIRS AROUND?